Cardboard Boxes There are 3 products. Packaging is what we’re here for - the clue’s in our name. All packaging resources make us happy, so when you’re looking for the right packaging materials, we want to make you happy too! 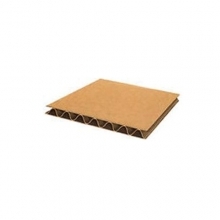 To be honest, one of the things we most enjoy supplying is that old packaging favourite, the humble cardboard box. 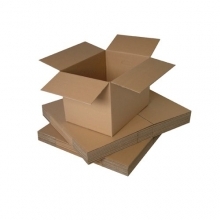 When you’re in search of cardboard boxes, have a good look through our range. Whether its for storage, shipping, or dressing up as a robot, we’ve got boxes large and small, and boxes in medium sizes too. Because you’d expect nothing less! Our single walled boxes are sturdy and strong, and designed to keep their shape even when they’re full of beans. Not just beans actually – you can choose whatever contents you want to fill them with. Double walled boxes give that extra layer of strength and stability. Either way, they are supplied flat packed which gives the added bonus that you’ll be able to store them easily until they’re needed. If you’re also looking for accessories to help you pack your more fragile items, you’re in the right place for corrugated paper and bubble wrap. We can offer both in large sheets or handy mini rolls, as required. You’ll be able to surround all your breakables with padding to help protect them from the jolts and shudders of the removals process. 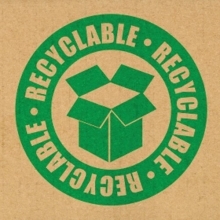 We have boxes specially designed for mailing too. 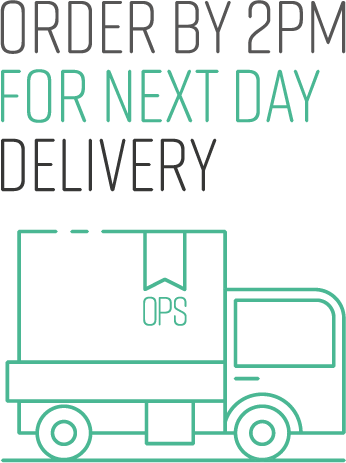 They fit easily through a post box slot and are ideal if you’re trading via eBay or running a small business. 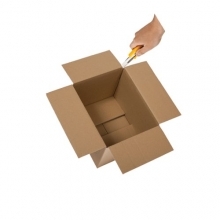 Quality single wall stock cardboard boxes in 16 sizes for shipping, packing & storage. Versatile, recyclable and biodegradable. Read the full product description. 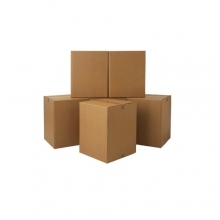 Double wall cartons – stronger and more rigid than single wall boxes. Recommended for use in dispatch and removals. Quantities of 10 supplied. Read the full product description. 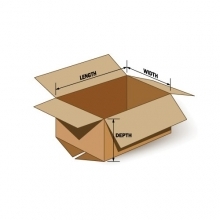 Pre-scored flat packed boxes that can be constructed to different sizes as required. Double wall, rigid corrugated board. Read the full product description.